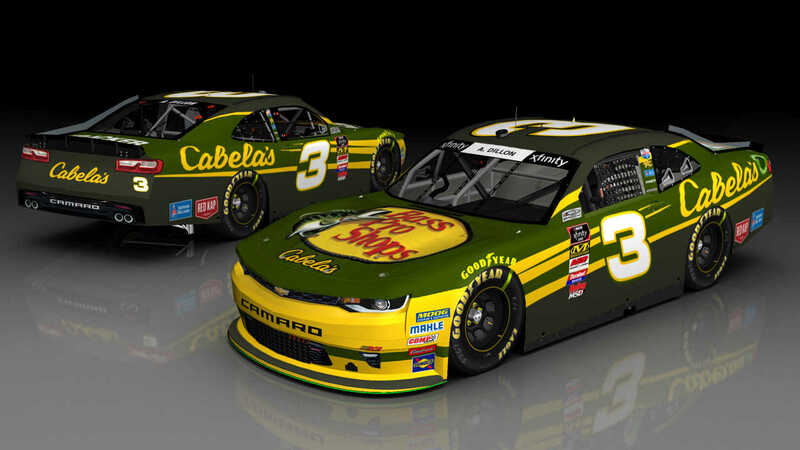 Austin Dillon's Bass Pro Shops/Cabela's car he will run in the Xfinity Series in 2018. Some logo's aren't exact as I couldn't identify some of them. Credits: Template/Mod from SRD, Numbers from BER, Logos from Google Images, Render from TheModSquad.